Talking about the UK delights there is a never-ending list of specialties including food and drink. 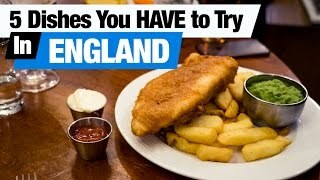 The easiest way to get to know about UK food and drink culture is to get regional information about specific specialties. In Devon, you may find a delicious Devonshire clotted cream which presents thick and fluffy cream over freshly baked scone all covered with domestic strawberry jam. Pot of hot tea is obligatory part and altogether makes a typical Devonshire cream tea. British cheese is in general country obsession which comes in many varieties of which are most typical Blue Stilton, Yarg and Cheddar. In Derbyshire town, you should for sure taste famous Bakewell pudding presented as jam tart covered by almond paste and egg mixture which was accidentally done instead spread on the pastry. The big hit was born, and it is found in most supermarkets. Gingerbread well known to majority may be found in lots of places, but if you want to try real origin, you should visit Grasmere and try Sarah Nelson’s original recipe. One of the best pies in the world are British pork pies and especially ones in Leicestershire presented as a golden, hand produced pastry jewel. Talking about pasty as a local legend in Cornwall you will get in touch with a Cornish pasty. Including chunky filling made of beef chunks, turnip, potato, onion and peppery spicing. Here food was usually made for the hard working population in the form of simple dishes with quality ingredients. Welsh lamb is world’s most famous one cultivated on the mountains and valleys of Wales.Feeding lambs with salt tolerant grass and herbs like sea lavender, sorrel, and thrift in Gower peninsula is giving great flavor to most known Gower salt marsh lamb. And wherever you go in Wales Welsh cake will be offered during your travel. As a modest round of cake made of flour, butter, eggs, milk, and currants including dried fruit, chocolate flavor and dusting sugar locally is known as bakestone. Welsh food presents a great combination of diversity and tradition. Cawl presents all the nutrition of this land in one pot depending only on season. It is traditional soup likely to soup made of Welsh lamb, potatoes, and leeks but recipes vary. For the fans of sweet flavor, there are many award-winning chocolatiers making, modestly said, an art of chocolate dishes. With rich, smoky flavor and shining copper color, an Arbroath smokie is a special traditional fish meal within an 8km radius of Arbroath. Haggis, on the other hand, presents very specific and at first look a very weird mixture of a sheep, pig or cow pluck with onion, oatmeal, and seasoning spices all together put in the stomach of the animal. You would be very surprised how delicious intestines can be if you find good haggis. Celebrated globally and prime bred in this country Scottish salmon represents a perfect mixture of taste and texture. One of the most important breakfasts in Scotland is porridge so thick you may eat it by your hand. Britain is famous for its food and drink festivals, and people in the UK enjoy delicious food and refreshing beverages. They are an excellent opportunity to meet interesting people and try some new flavors. Considering that season of festivals has ended, you will have time to prepare for the next year, and get your tickets in time. Here is our choice of the hottest food and drink festivals, which we think you should attend. Vegfest takes place in Bristol, between 21 – 22 May. Bristol has become an important part of food community in the UK. The Bristol festival features music in the evenings. During the day, visitors can explore various food stands and watch chefs demonstrate their skills. You can learn many useful skills at this festival, like as making vegan dairy products. There are also kids’ workshops which teach children about a healthy lifestyle. This festival starts on 28 and 31 July in Cornwall and provides a lot of activities to experience. It combines outdoor activities, yoga, wild swims and a lot of food to try. If you are into these type of events, then you should definitely visit it. You can meet a lot of people who share your interests, and besides delicious food, you can learn something about healthy living. Wilderness is a music festival, starting between 4 – 7 August in Oxfordshire. But, besides a good music, visitors can try the delicious food which is hosted by Skye Gyngell and Raymond Blanc. Here you can try a different type of meals to those prepared in London restaurants. Organizers didn’t want to neglect the food aspect of this event, so you can also enjoy healthy meals, while dancing, boating, and swimming, or having the late – night parties in the woods. As you have guessed from the title, this festival is all about garlic. In was founded in 1983 and since then it has attracted hundreds of thousands of visitors. The festival is held in August, from 20 to 21. This is an excellent opportunity for local people to offer their products, such as cheese, ciders, meats and, of course, a lot of garlic. This is one of the most popular festivals in the UK and this year celebrated its 11th anniversary. It is held at Snape Maltings on the banks of the river Lade. If you love good music and excellent food, then this should be your choice. Beer vs Cider – which one is better? These two are one of the most popular beverages around the world. People have learned to make beer from various plants. We have beers and ciders in different shapes and forms. Recently, people have been switching to hard ciders, even though ciders have been on the market for a long time. But, are they good enough and can they replace the beer. In order to satisfy your curiosity, we are going to try and clarify the difference between beer and cider and tell you our final thoughts. The both drinks are made through a fermentation process, but their tastes are entirely different. Cider beverages are made from fermented apple juice, which gives them a sweet taste and bright color. If you can’t imagine the taste, it’s essentially alcoholic apple juice. On the other hand, the beer is brewed and fermented. The color depends on the colour of malt, and the taste is bitter and savoury. Cider and beer are generally comparable when it comes to ABV. Cider ranges between 4% and 8% ABV, whereas beer has a wider range. This is because beer has many varieties, such as lager, brown ale, IPA, and stout. The percentage of alcohol depends on the type, but it’s usually between 3% and 10%. As we mentioned before, cider is made from apples, which means it contains antioxidants and vitamin C. On the other hand, beer is made of barley and yeast, which has inflammatory effects on your body. Sugar content also varies between these two beverages, cider has 23 grams per one serving, while beer in most cases is sugar – free. In this case, people who have diabetes, a beer comes as a better alternative. But, if you still prefer cider over beer, you can consume dry ciders, which have more yeast and less sugar. It all depends on your personal preferences. Considering that we have explained the difference, that can help you make a better decision. Just remember that beer causes inflammatory effects and that ciders are sugary beverages. But, still, you have the options when it comes to these two. They all say that breakfast is the most important meal of the day. 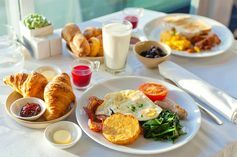 Even when you are on a diet, most nutritionists recommend having a generous breakfast because it will give you enough strength to face daily challenges and it will reduce your desire for eating. If you what to find out which food to consume, then check out our list below. Many studies have proven that eating eggs during breakfast may reduce the calorie intake and will keep you full for the whole morning. It will help you regulate the blood sugar and insulin levels. 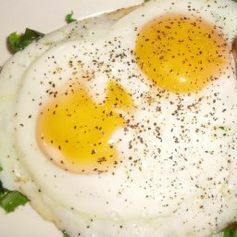 Egg yolk has lutein and zeaxanthin; these powerful antioxidants can prevent many disorders in the body. The egg is also rich in choline an essential nutrient which can improve brain function and liver health. The interesting fact about eggs is that they are high in cholesterol, but they don’t negatively affect your cholesterol levels. Nowadays, you can buy Greek yogurt in many forms. It is creamy, delicious and nourishing. Yogurt and many dairy products help keep you fuller for longer, and it can assist you with the weight loss. Considering that some types of Greek yogurt are probiotics, they can regulate digestion in your body. Most people can’t imagine starting a day without a cup of coffee. Many studies have concluded that coffee promotes a good mood and increases your mental performance during the day. Up to four cups of coffee are the recommended doses per day, depending on the strength. Coffee is also known to increase your metabolic rate and help you with weight loss. While drinking coffee, you will burn fat faster. Under the influence of the market, wholegrains have been replaced with cereal which have different taste and shapes. It’s much healthier to eat simple oats. Oatmeal is full of beta-glucan fibres. This type of fibre has many impressive health benefits, and it can help you reduce your cholesterol level. Chia seeds are very nutritious and one of the best sources of fiber you can find in nature. In 28 grams of chia seeds, you will get 11 grams of fiber, which will fulfill your daily needs. They are also high in antioxidants, and they can prevent cell damage.